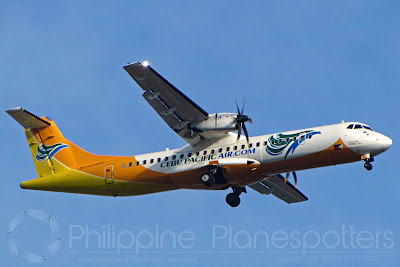 Aviation Updates Philippines - The Philippines' leading airline, Cebu Pacific (PSE: CEB), expands its domestic route network and presence in Southeast Asia as it announces four new routes aimed at improving accessibility for travellers outside Metro Manila, but more so increasing connectivity within the region. EXPANDS ROUTE NETWORK. Cebu Pacific, through its subsidiary Cebgo, is expanding its network in Mindanao with new flights from Cagayan de Oro to Dumaguete and Caticlan, and flights to Sandakan via Zamboanga. The mainline will also launch new flights between Clark and Kalibo. Photo by Dirk Salcedo - PPSG/AUP. Cebu Pacific announced it would begin operations of a thrice-a-week Kalibo-Clark flight (Mondays, Wednesdays and Fridays) on October 30, 2017, linking Western Visayas, including the world-class Boracay Island, to tourists from North and Central Luzon, as well as foreigners via the Clark International Airport. The return Clark-Kalibo flight, on the other hand, begins on October 31, 2017 (Tuesdays, Thursdays, Saturdays). "Cebu Pacific is very pleased to continue being a travel enabler to everyJuan as we further establish seamless connections not only within the archipelago, but to the rest of Southeast Asia. Sandakan has had centuries of trade and cultural linkage with the southern Philippines, and we are especially proud to put in place infrastructure to further enhance these ties. Now, the previous 14-hour travel by sea is cut down to just a 40-minute airplane ride," said Alexander Lao, President and CEO of Cebgo.